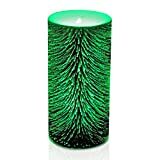 Need a long-lasting candle for extended power outages? 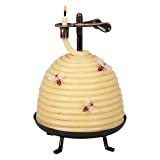 These cool new Beeswax Coil Candles have a unique 100% beeswax coil that can burn for up to a whopping 80 hours. 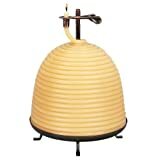 Set atop a rustic bamboo base and housed in a tall glass chimney, the beeswax coil is lit and then fed in small increments, three inches per hour, up through a copper-finished candle clip. 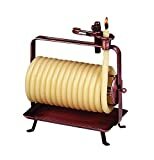 A truly great example of form and function working in harmony, even as a decorative touch when the power is on.